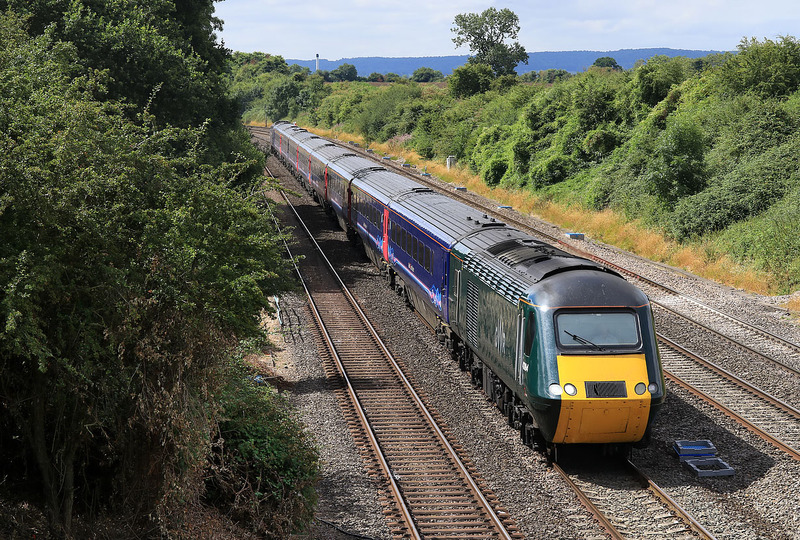 43194 approaches Standish Junction on 24 July 2018 with the 1G21 09:36 Paddington to Cheltenham Spa GWR service. Note that on the left the vegetation clearance gang have just started to attack the decade's worth of uncontrolled lineside growth. Presumably this viewpoint will soon be opened up once again.